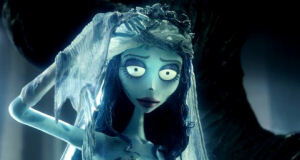 Tim Burton And Johnny Depp Marry Their Visions Yet Again For The Fractured Fairy Tale Corpse Bride. NASSAU, BAHAMAS—It’s pushing 100 tropical degrees outside, and the tourists packing the lobby of the aggressively nautical Atlantis Resort are sweating through their flowered clothing. In a windowless ballroom downstairs, director Tim Burton, cinema’s reigning prince of darkness, looks like he’d be more comfortable buried alive. His untamable black hair forming a corona around his puffy, pasty face, Burton wears his usual black shirt and black pants, eyes obscured behind thick black-rimmed glasses as he talks about corpses, brides and his favorite actor, Johnny Depp. 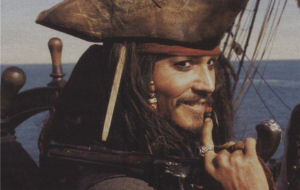 In contrast to his director, Depp appears completely relaxed, with a deep tan, white linen shirt and Captain Jack Sparrow gold teeth and tattoos. But he mirrors Burton’s deep affection. Depp and Burton previously worked together on Edward Scissorhands (Depp’s breakout role), Sleepy Hollow, Ed Wood and this year’s Charlie and the Chocolate Factory, each characterized by its own brand of weirdness. The same will undoubtedly be said about Corpse Bride, which is noteworthy for a couple of other reasons: It’s Burton and Depp’s first stop-motion-animated film together, and they both shuttled back and forth between Charlie, which was shooting in London last winter, and Corpse Bride, which was shooting nearby at the same time. 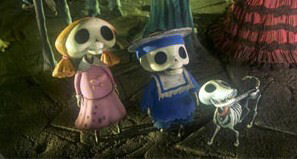 Based on a Ukrainian folk tale, Corpse Bride centers on Depp’s Victor Van Dort, who is about to be married. While traveling through the woods to meet his fiancée, Victor puts the engagement ring on a stick in the ground and says his wedding vows as a joke. But to his horror, the stick turns out to be the bony finger of the Corpse Bride, who rises from the dead and tells Victor that they are now husband and wife. The film may recall Burton’s The Nightmare Before Christmas in its sensibility, but it has its own fantastical look and storyline, about the colorful Land of the Dead and its revivifying effect on the drab Land of the Living. So accomplished are the film’s artisans that they received the ultimate accolade: a nod of approval from Ray Harryhausen, the pioneering innovator of stop-motion animation, who paid a visit to the production. “It was like getting a visit from God,” producer Allison Abbate says. Burton and Depp went back and forth between Charlie, Burton’s adaptation of the Roald Dahl children’s classic, and Corpse Bride while both were shooting in London earlier this year. “We were just about to start [Charlie], and Tim came to me and said, ‘You know, I’ve got this other thing that I’m thinking about doing,’” Depp recalls. “This stop-motion thing. And, you know, I’d like to give you the script, and take a look and tell me what you think. [I said,] ‘Sure.’ So I read the script [and] felt, ‘God, it was amazing. It’s amazing. It’s brilliant.’ But I had no idea he was going to be doing them simultaneously. I mean, he was literally leaving the set of Charlie and the Chocolate Factory and going into the Corpse Bride recordings and animation [sessions] . . . It was an incredible energy he has. The two films also shared cast: Besides Depp, both Helena Bonham Carter and Lord of the Rings star Christopher Lee have roles in the two movies. (Similarly, Danny Elfman, Burton’s longtime music collaborator and former Oingo Boingo frontman, wrote original songs for both films and voices the villainous singing skeleton, Bone-jangles, in Corpse Bride.) But that wasn’t a problem either, Burton says. 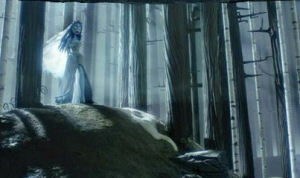 Corpse Bride hits theaters in North America on Sept. 23. “It was kind of a chaotic situation, but I’m excited about [it],” Burton says. A Pirate and a Superhero Will Soon be Returning and the Only Question Is—Which Stars Will Join Them? Depp also confirmed that the first sequel, Pirates of the Caribbean: Dead Man’s Chest took an early hiatus because a key cast member fell ill.
Verbinski will shoot the first and second sequels back to back. Dead Man’s Chest reunites the cast from Pirates of the Caribbean: The Curse of the Black Pearl, including Depp, Orlando Bloom (Will Turner) and Keira Knightley (Elizabeth Swann), and adds Billy Nighy as the ghostly Davy Jones. He sported a scraggly beard, gold-capped teeth and a tattoo with the name “Jack” and the image of a sparrow against a sunrise on his right forearm. But Depp said it was a pleasure returning to the franchise. In other Pirates of the Caribbean news, Disney and producer Jerry Bruckheimer have enlisted Chow Yun-Fat for Pirates of the Caribbean 3, Variety reported. Chow will play Capt. Sao Feng, a notorious pirate who plays a major role in the second sequel to 2003’s Disney blockbuster. It is the Hong Kong native’s first English-language role since 2003’s Bulletproof Monk.